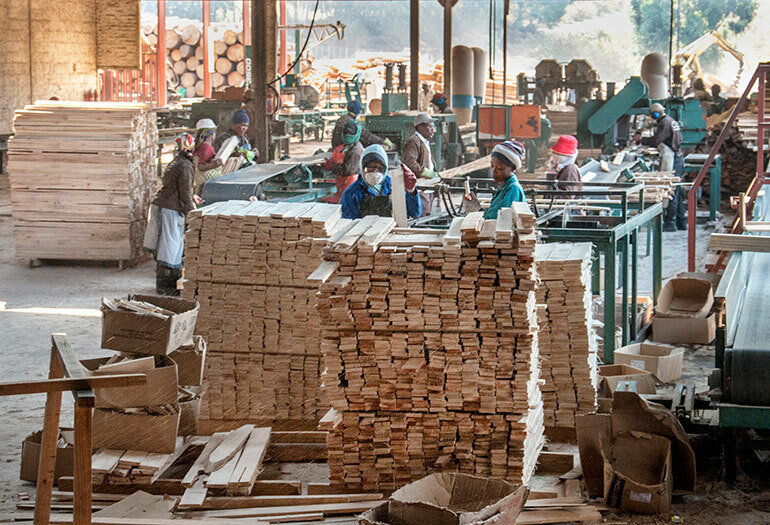 CRS Timber Products’ Brondal-based mill lies tucked-up in one of the many valleys that crisscross the area northwest of Nelspruit, South Africa. In addition to its legendary scenic beauty, this rolling landscape also plays home to some of South Africa’s largest timber production areas. It forms part of the roughly 0,6 million hectares that are set aside for commercial forestry activities in South Africa’s Mpumalanga province, which in total is one of the largest afforested areas in South Africa. 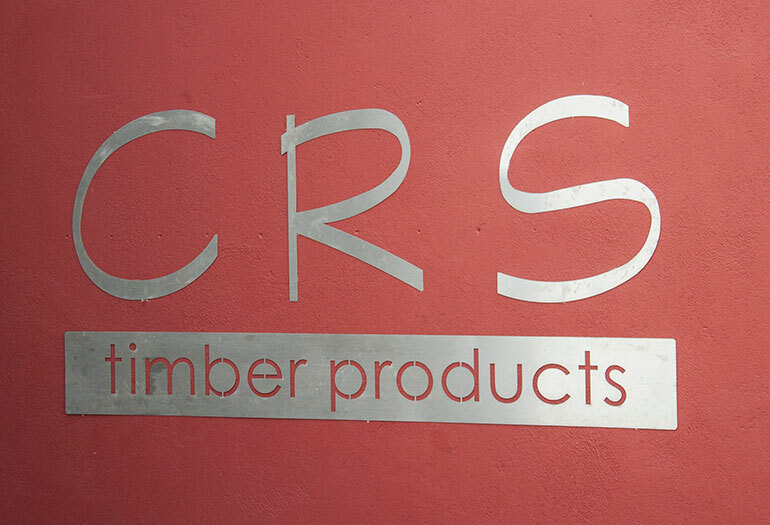 CRS’ origins date back to 2004 when the brothers Ruan and Christo Smit started the company. 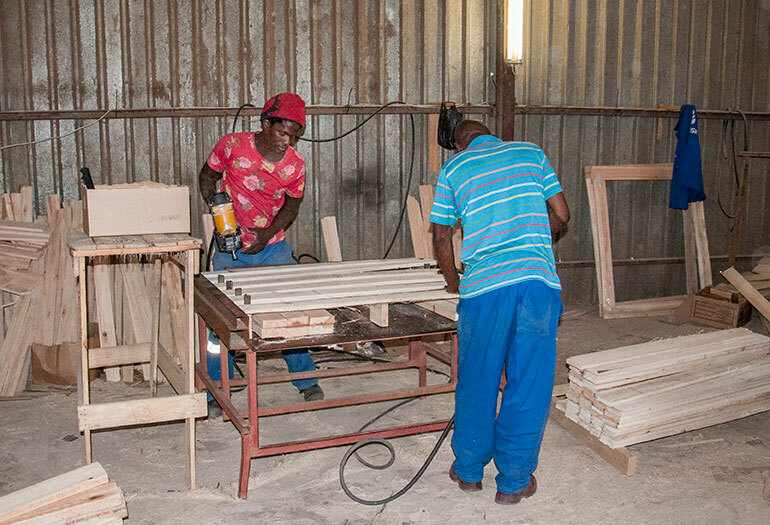 The duo initially started by manufacturing ready-cut pine and eucalyptus components for the pallet manufacturing sector. 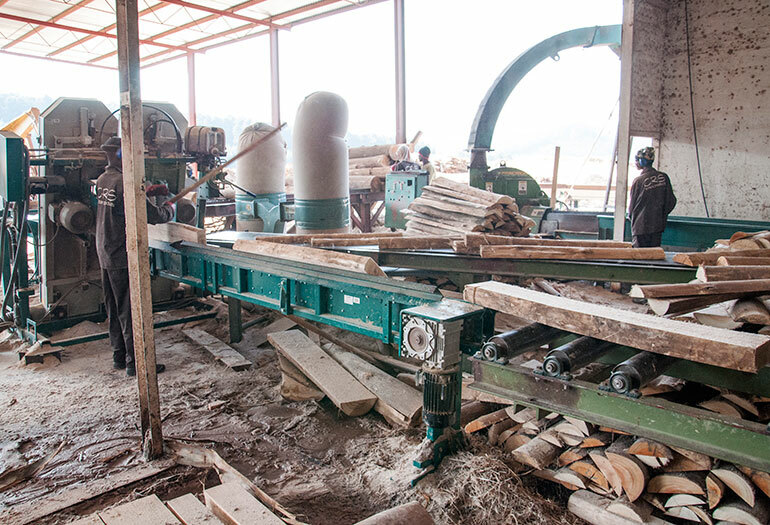 Although the fresh cut timber market remains an important market for CRS, the sharply fluctuating demand and pricing structures of this segment soon convinced CRS to diversify into further timber preparation activities that unlocked additional revenue streams and which steered clear of the challenges that the ready-cut market presented. 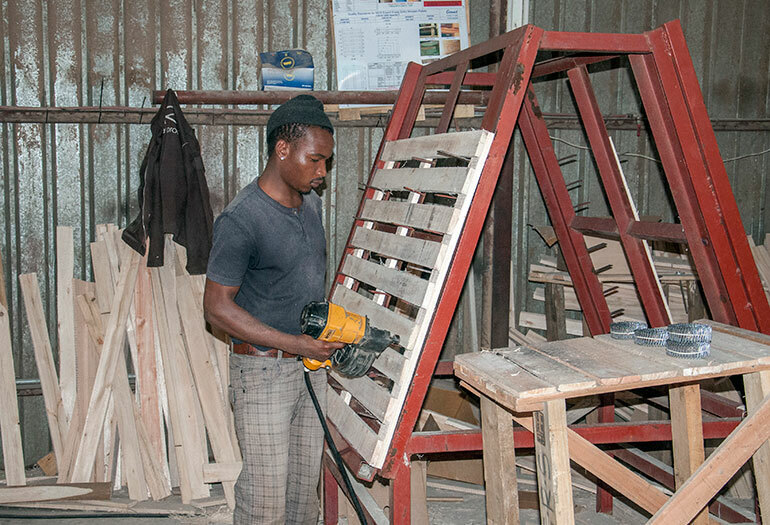 They started diversifying by beginning to manufacture pallets themselves, lessening their exposure to the ready-cut market and provided for a more predictable timber procurement / stockholding landscape. CRS’ new pallet manufacturing plant initially used circular saw capacity on the wetmill side to generate the components that were supplied to the market and used for own consumption. Although the volumes that exited the wetmill were close CRS estimates, the output per employee remained below expectation and contributed to smaller margins. The recovery stats on the circular line also continued at unacceptable levels while the mill’s energy bill stubbornly resisted any attempts to reduce it. A very high monthly blade sharpening account also reduced efficiency. At the same time that CRS was experiencing unsatisfactory results from the mill, they were also investigating the idea of bringing on kiln dried products, which prompted a review of CRS’ entire operation to establish which changes had to be made to fuel CRS continued expansion and improve efficiency. 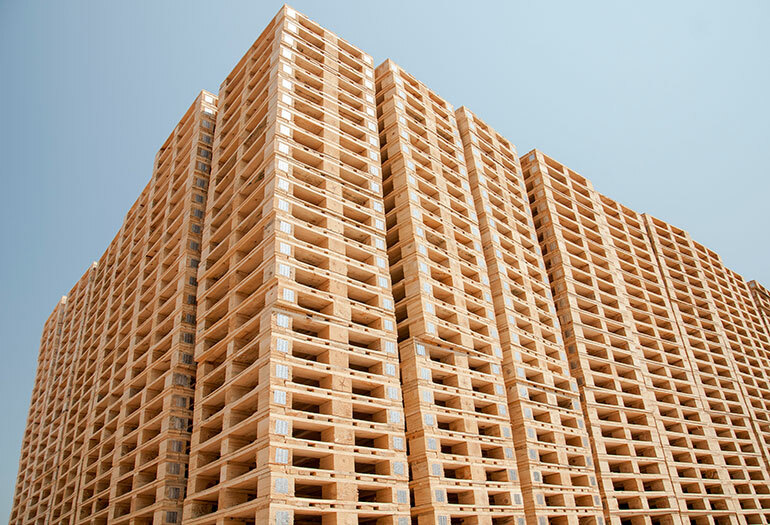 Pallets manufactured from kiln dried timber as well as the supply of dried components to the pallet manufacturing sector holds specific benefits. 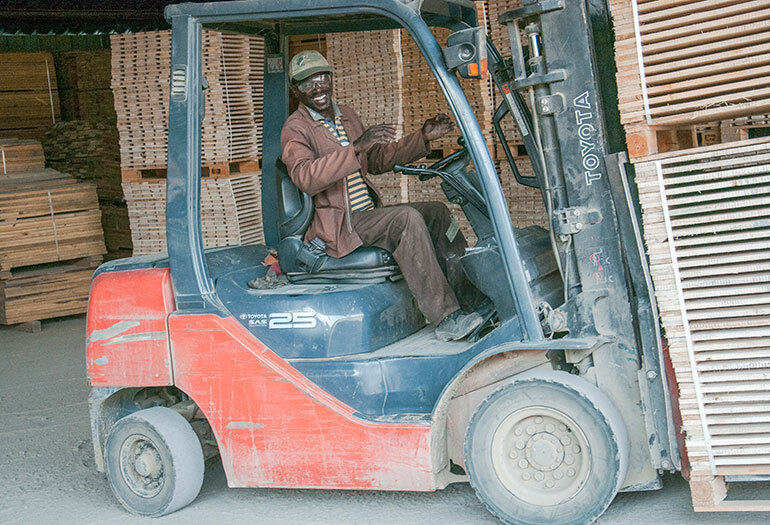 In terms of International Standard 15 of the International Standards for Phytosanitary Measures (ISPM), all timber-based pallets and products associated with export transport must be kiln-dried to ensure that country-specific pests and pathogens aren’t inadvertently spread throughout the world. If CRS could manufacture or supply ISPM compliant pallets and components, it could unlock a new range of potential business. Kiln dried material also holds specific logistical benefits. Apart from the density of timber, moisture content (MC) to a large extent determines the weight of timber. If the MC is lowered through drying, larger volumes of dry timber can be moved than wet timber. Logistically CRS would therefore also benefit if they could dry material prior to shipment. 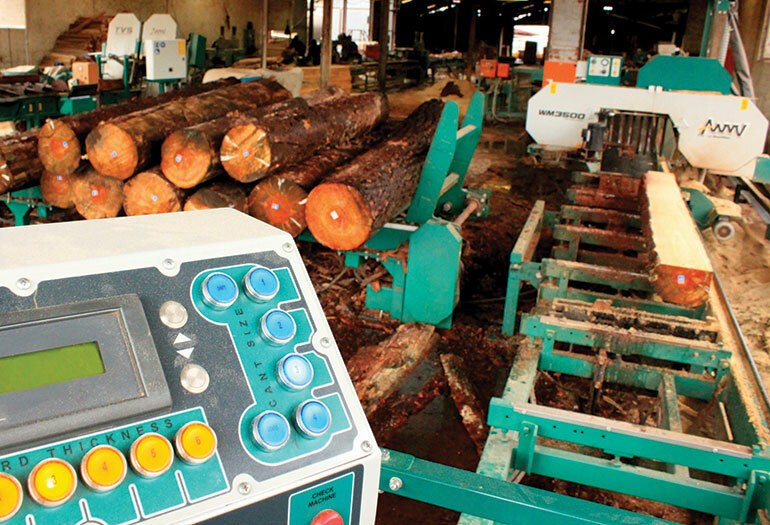 To improve CRS’ wetmill performance, Ruan and Christo Smit looked at number of new sawmilling systems that would meet their goals. “We specifically looked at sawmilling systems that could supply current and future volumes while simultaneously increasing recovery and reducing waste, improving the yield per employee, lowering energy consumption and decreasing the monthly expenditure on blades,” Christo Smit said. “The efficiency gains and capacity increases that would result from a successful wetmill upgrade would lend healthy support momentum to our current and future expansion programmes,” Christo continued. Although their investigations revealed a number of potential candidates, it was an announcement that Wood-Mizer would open a subsidiary in South Africa in August 2011 that really caught their attention. “We had until then given some consideration to the Wood-Mizer range and the benefits that their thin kerf narrow bandsaw technology could give us,” Christo said. “But the 2011 announcement and the promise of better pricing and support convinced as that Wood-Mizer warranted further investigation. 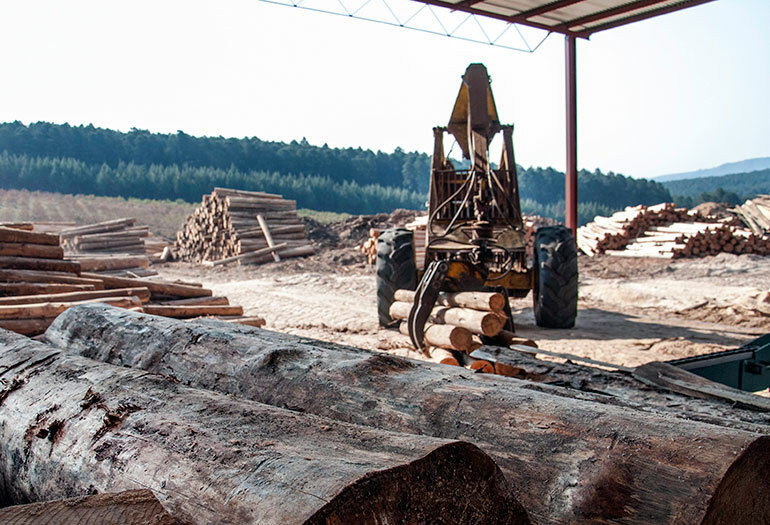 A meeting with Wood-Mizer’s representative in the Lowveld and the proposals that were submitted convinced us that Wood-Mizer was the way to go going forward,” Christo said. The first phase of the wetmill upgrade in 2012 saw Wood-Mizer’s Twin Vertical Saw (TVS) being installed as the primary breakdown unit in their gum line. The TVS removes two sides from the incoming logs, which range in diameter from 200 – 400mm. The two-sided 102mm wide cants then feed down to a circular multirip saw. The offcuts are diverted to a recovery line, where a double-bladed edger removes the wany sides before they are then cut into boards by a Wood-Mizer single head resaw. The decision to utilise thin-kerf narrow saw blades in the gum breakdown line has provided for significant performance improvements in all the facets that we targeted. “The improved recovery and decreased waste on the gum line has been marked. Our energy bill has also come down significantly and so too our blade servicing account. A reduction in the amount of labour used on the line has also meant that the yield per labour unit has gone up, Christo added. 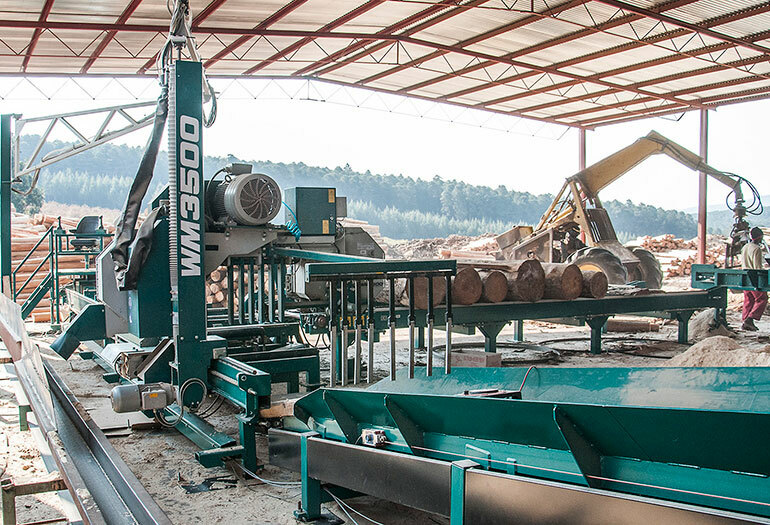 The next phase of CRS’ wetmill upgrade process occurred in Jan 2013 when CRS became the first mill in Africa to commission Wood-Mizer’s WM3500 that they deployed on their large diameter pine breakdown line. Although the WM3500 can function as log breakdown headrig and stand-alone mill, CRS uses it as a stand-alone mill for cutting boards and dimensionally accurate timber with smooth surface finishes. “The commissioning of the WM3500 saw the culmination of a number of objectives that we set for CRS’ expansion and which also impacts on our goal to improve our wetmill’s performance,” Christo Smit said. 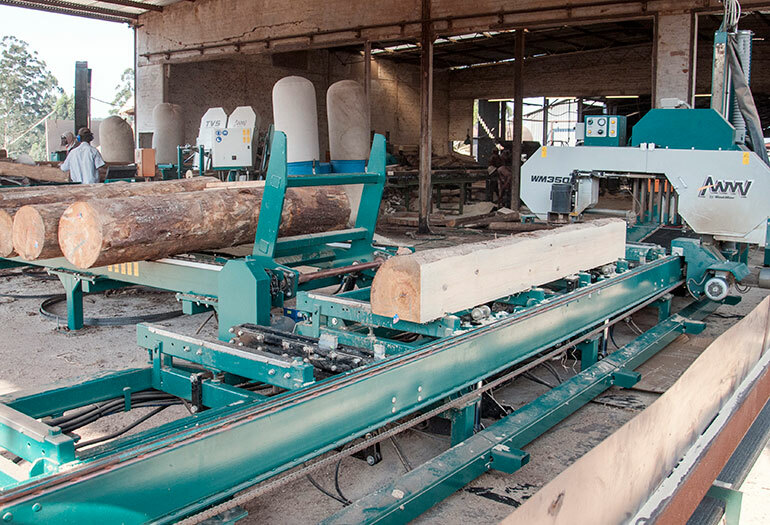 “The WM3500’s ability to process 6, 3 m log lengths that are up to 910 mm in diameter now give us the capacity to tap into the accurately sawn dried timber market which adds further revenue streams to our bottomline. “Part of the WM3500’s output is also directed to our own dried component pallet manufacturing section which again spurs diversification and increase competitiveness. “The improvement in the production stats on the wetmill side since the WM3500’s commissioning has also proven its value. 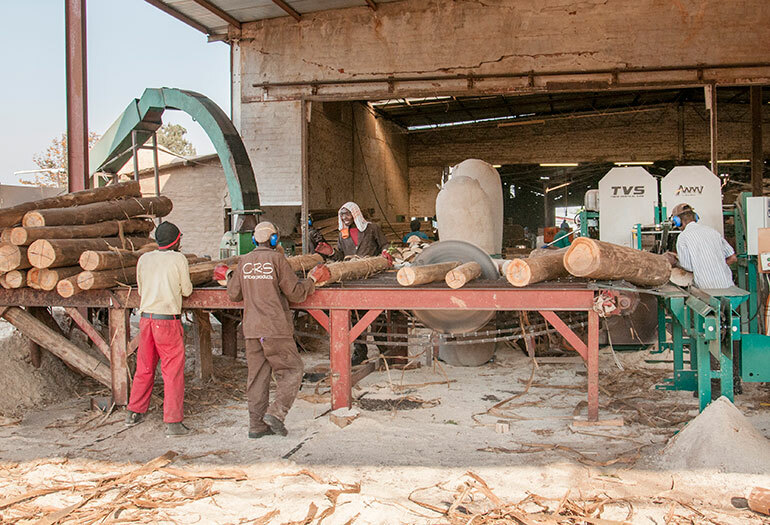 The WM3500’s output capacity now spread across two shifts and involving the processing of large diameter and long length logs with minimal labour inputs has improved our yield per labour unit count significantly. “The fact that the WM3500’s output rival those of mills with two to three times the amount of horsepower means that less energy is consumed to produce the same amount, which again exceed our expectations. The use of thin kerf narrow bandsaw capacity also improves recovery and reduces waste. “The fact that we haven’t even come close to exploring the WM3500’s full capacity also predicts well for the future,” Christo concluded.